This entry was posted in dogs, humour and tagged dog care, dog food, dog kibble, dogs, humour, Ocean, River, tuna by taylorgraceauthor. Bookmark the permalink. We get relatively cheap wet dog food and put a spoonful on the kibble and stir it in. Works wonders. Now finding kibble that they both digest well? That’s impossible…. See, we’re afraid of wet food because it might give them tartar build up (sigh). I know, we’re nuts because we give them tuna and that’s wet! Yeah, we don’t give them much, just a spoonful per dish of kibble. I think its if you only feed them wet, or mostly wet, and they don’t chew enough crunchy stuff that they get tartar build up, but, not sure. Ahhhh! I actually try to brush their teeth too (ask me how well that works! – not at all!). Thanks for the tip, Trent! Oh, it’s a disaster! I don’t think I manage to clean one single tooth while they wiggle and lick and move around! 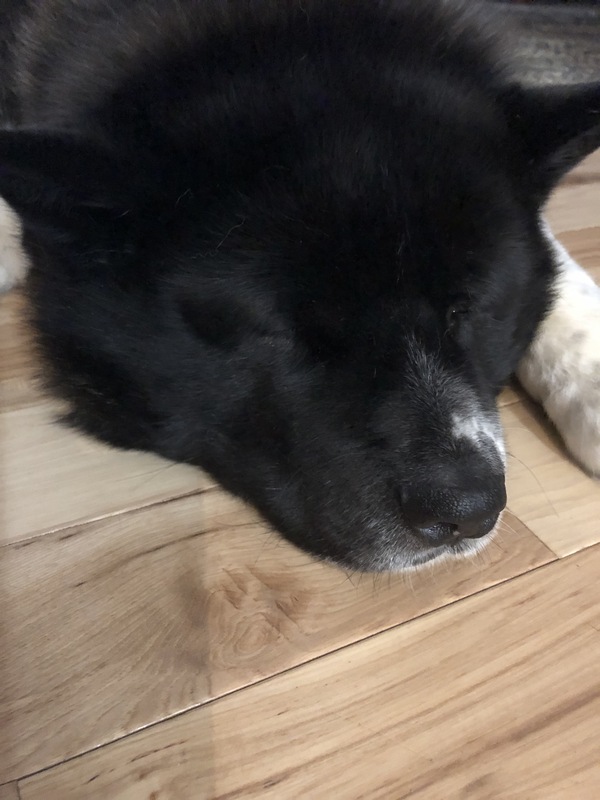 My Akita girl is a definite fish dog. 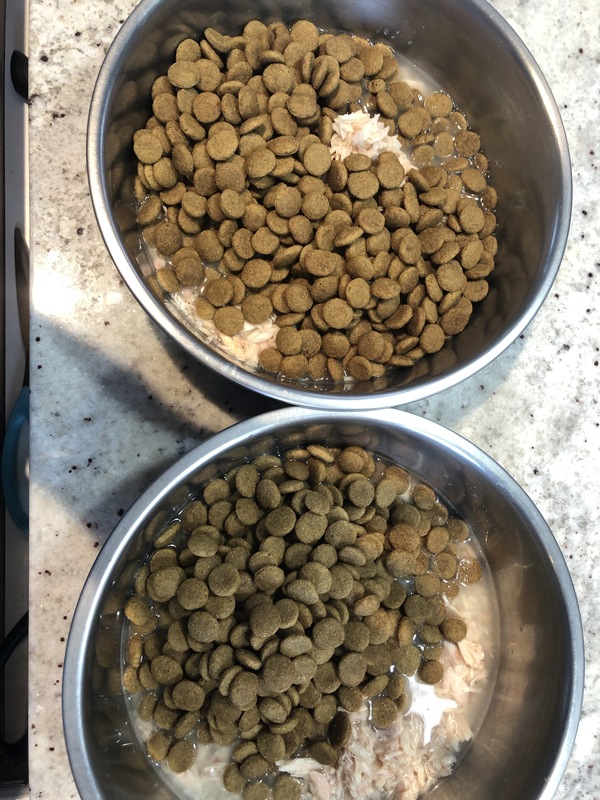 All three of my dogs (the other two boys are Aussie sheps) eat mostly a fish-based kibble (usually a whitefish) and a raw component based in beef that I make myself. Nyssa has never been picky, but she gravitates toward fish flavors. Which I don’t mind, since I think it helps to keep them leaner over a lifetime. She has hip dysplasia mildly, so that will be important. 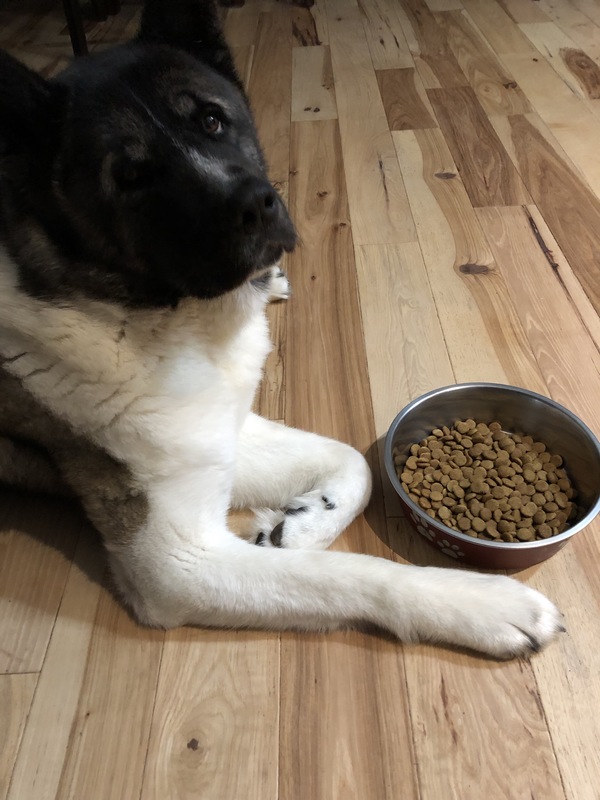 Your Akitas are lovely, I had a male many years ago, and decided to get a female this time. She is my first female dog as well, and she is amazing. They are truly one-of-a-kind. Aw! Aime, you sound like such a wonderful dog-lover! Thanks for that beautiful comment!